A 26-year-old woman from Matuwi Village, Traditional Authority Mponda in Mangochi is in heavy pain after her boss allegedly assaulted her by spraying pepper in her eyes following a disagreement at work. Both Mangochi Police spokesperson, Amina Daudi, and company officials have confirmed the development and identified the suspect as Hugo Da Silva, a Portuguese national who works as a Head Chef at Sun ‘n’ Sand Holiday Resort in the district. Daudi said the suspect, who has been granted police bail, would appear in court to answer the charge of conduct likely to cause grievous harm. The victim, Christina Mtsinje, claimed that Da Silva used his hands when applying pepper in her eyes when the two had a small disagreement over work matters. “While we were working, my boss [Da Siliva] asked my friend to give him a plate to serve food for guests, but my friend did not do that instead I went and gave the plate to Da Silva. While I was there he used his hands and applied pepper in my eyes and, together with his friends, they started laughing at me as I was struggling to open my eyes,” Mtsinje said. She explained that following the incidenct, she tried to wash her face to remove the pepper but it did not work such that the eyes started swelling. “In the evening, I called the office so that they could take me to a hospital because by that time I could not open my eyes. 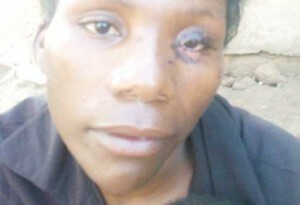 I am really in pain and I don’t know if I will be able to see properly again,” Mtsinje said. Meanwhile, Mtsinje is staying at home without knowing the status of her employment while Da Silva is still working. But the resort’s Human resource Manager Martin Juma explained that as a company, they have not fired Mtsinje. “Mtsinje remains our employee because we are waiting for her to get better so that she can explain to us what really happened on the said day because we have only heard from Mr. Da Silva who is saying that he did not deliberately apply pepper in her eyes,” Juma said.